SunCoast, the owners of Shadow Lakes and Deer Ridge golf courses, have detailed their acquisition and value creation strategy on their website here. When acquiring new properties, they are looking for discounted properties that they can re-position. They are developers. Of course, no one can fault SunCoast for seeking to maximize profits. However, they should do so in a way that adheres to Brentwood’s General Plan and the very low density of our neighborhoods. SunCoast has one other golf course besides Shadow Lakes and Deer Ridge—San Juan Hills in San Juan Capistrano. 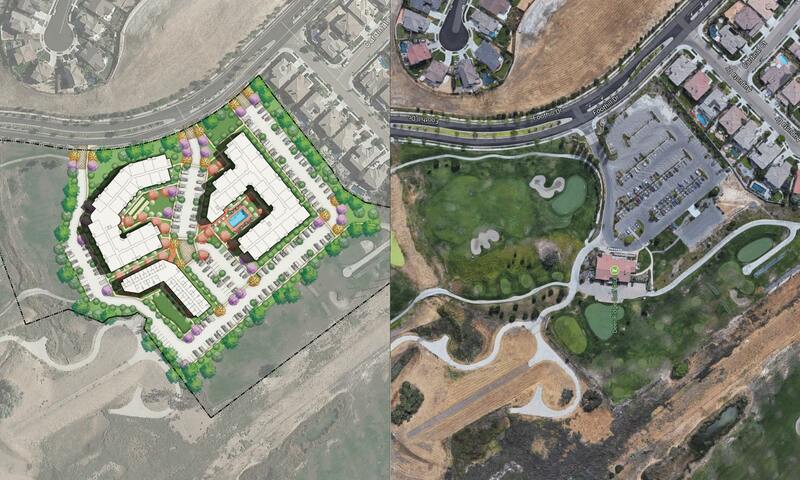 We detailed news articles following their attempt to rezone the property at San Juan Hills for senior housing here. The only source SunCoast has provided to support their claims is the National Golf Foundation. After reviewing the market claims by SunCoast including the National Golf Foundation reports and details around recent closures, we are left with more questions than answers. When we contrast the statements of SunCoast against the National Golf Foundation, a very different picture is drawn. If the golf industry has "imploded" as SunCoast believes would it not negatively affect the proposed combined course? If the golf industry is not doing well, the combined course may not be built or if built, may not be able to stay in business. We may be left with huge apartment buildings and still no golf course. The assessments do not guarantee that the golf course is maintained and in business. What are successful courses doing to remain profitable in this competitive market? What, specifically, has SunCoast tried to make the courses successful? The below is what we know about each course mentioned. Delta View is in Pittsburg and the city is exploring it’s option and trying to keep it alive. "The reasons for the closure are still unclear." "After one of the partners became ill, however, the push to sell increased. Ms. Kim said contrary to rumor, the course has been profitable and only operated in the red during winter months." The residents of this community face the same issue we do where the owners are attempting to develop the golf course land. Sunol Valley Golf Course was a 50 year old, 36-hole course. "To compete, Sunol needed to be redesigned and updated, but that would be a huge capital expense for a complex that has seen its rounds plummeted..."
"I think there is a middle ground that includes an assessment district for residents bordering the golf course with better management coming from the city or a private operator." "One additional note: nobody wanted the 85 acres used even partially for housing." Not surprisingly, Roddy Ranch wasn't mentioned in SunCoast's list of recently closed courses. With the closure of Roddy Ranch, a golf course 2.3 miles from Shadow Lakes, on August 11, 2016, there were more dedicated golfers seeking new golf memberships and less holes in our immediate area. What did SunCoast do to capture those dedicated golfers? At this time Shadow Lakes had "been operating on a limited schedule for the past few months". It was a prime opportunity to re-open Shadow Lakes full time but that's not what happened. It's also important to note that the closure of Roddy Ranch involved fraud, not too few players. Some rezone supporters often say that two courses cannot operate across from each other. Here's an interesting quote by a SunCoast representative. "They’re right across the road from each other, but they're very different. They look different, they play differently." My name is Peggy Bridges and my husband and I have lived in Brentwood since 1998. Our family purchased our home in Deer Ridge in 2009. I am writing to you today since I am unable to attend the scheduled meeting, but hope that you will take my letter into consideration as well as all the public comments when considering this proposal. Financial records of the owners of the golf coarse property have not been disclosed and there is no proof that they are in financial debt or cannot make a profit operating the golf courses. Without this financial information disclosed, and having an independent auditor verify the data, it would be foolish to entertain making large changes to the community. The owner’s proposal to save half of the golf courses, by changing the zoning laws and allowing high density residential units, is more than a request for help from the community. It is a business model for these owners. The owners own golf courses in other cities and have prior history of doing this same type of proposal with another golf course property. It would be prudent for the City of Brentwood to take this into consideration and investigate the outcome of this activity. We all need to realize that our planning/zoning rules today will have a permanent impact on our community in the future. Once the golf coarse land is replaced by structures it will never be reverted back to open space or golf course land. The proposed project has now proposed building more living units than the managers described they needed in our recent meetings, to break even while operating the golf coarse. In trying to gain our trust, they significantly downplayed what their ambitions were. At the meeting/presentation we attended I asked specifically how many units they were planning on building and was told 200-400 units. Their recurring income plan pays per unit. So I pressed them further and asked what their break even number was, because that is a big difference in income flow from 200 units to 400 units. The owner’s representative stated he did not know how many units would be needed, which is very surprising since the purpose of the land zoning change would be to make their business profitable and allow them to get out of the 11 million dollar dept. With the current written proposal, we are broad sided with their request of adding 560 units between the two proposed sites. Acreage and number of resident units are much larger than the existing Westmont Living and Cortona Park facilities The owner’s plan in asking our permission, was to save a portion of the golf courses, not use the destruction of our planned neighborhood to turn them a huge profit. In 2010-2011 the owners of the golf courses submitted an application in to the city to build a commercial building near the Shadow Lakes driving range and rezone the area on Mountain View to build some single family homes as well as a bridge over Balfour. Their reasoning…. to improve cash flow for the golf courses. Their application was approved but they never acted on it. ( I was present at this Planning Commission meeting). When I asked the owners Rep about this, he knew nothing about it, and immediately changed the subject. If they had gone through with their plans, I can only assume their debt numbers would look much different today. They stated there were no buyers or other alternatives to make a profit operating the golf courses, but since then there have been posts on social media refuting that claim. It appears that people have tried to rent the property and run the golf courses for them so that they do not operate at a financial loss each year. Members of city council should follow up and speak to these individuals as part of their best practice for making an informed decision on this request. One thing the city could do to help the golf courses stay in business would be to provide them reclaimed water from the sewage treatment plant. Not only would this help save the golf course a cost of water, but would also help them reduce their fertilizer nitrate cost because the reclaimed water has some of these nutrients. By blending the reclaimed and agriculture water supplies they could reduce maintenance costs. An approval of their plan will increase emergency calls significantly in west Brentwood. Our emergency services which are already stretched thin due to calls between Cortona, Westmont, and John Muir Urgent Care are averaging 1.8 calls per day, seven days a week, 365 days per year for the last 3 years. (Data provided by the City of Brentwood, Planning Commission Office). It does not seem wise to add more residents in west Brentwood before planning to upgrading roads, and fire/emergency services. Their plan will cause care costs for the elderly living in the proposed units to be higher than other facilities due to the additional golf course fee. There is no way that the owners of the care facilities are going to carry the additional cost per unit that they will be paying to the Golf Course owners. They will be passing this on to their residents. Typically costs run $3,000-$5,000/month for the resident, based on the services required. Now an additional amount will be tacked on to cover this additional expense. Not only are the golf course owners looking for us to bail them out, they are asking us to do this with out any guarantees of reciprocity that they are committed to this plan. At a minimum, I would want an agreement attached to any rezone approval that requires them to spend a large percentage of that income on the golf courses, closed fairways and surrounding areas with any plan having the most minimal impact on our surrounding area. ( 560 units, three story facilities have no place in this single family residence neighborhood). An amazing amount of money has been spent by the owners to push this through including the mailers to announce the meetings, the large number of meetings with homeowners, including food; the very fancy, over the top mailer with there plan printed up, their consulting fees, drawing up of the plan fees, city applications, environmental impact study fees, etc. These golf courses have been in disrepair, weeds have been rampant and not attended to, fountains have been turned off, and even a golf course closed and left to go to seed to make a point. But there has been plenty of money, probably several $100,000’s to push this recurring plan of their’s through. Allowing them to move forward will set a precedence. There will be no stopping the additional moves to fully fill in our open space in a pursuit of profit. Please say NO to this proposal. We loved the feel of the area and the neighborhood. My name is Heather Hurst, and I reside in Shadow Lakes. I am writing to you so you can deliver my opposition for the rezoning of Deer Ridge and Shadows Lake to the Mayor and City Council of the City of Brentwood. I would like the letter to be posted for the public comments section of the next City Council meeting to be held on July 11, 2017. I am originally from Pennsylvania, but moved to California in 1998. I drove through Brentwood every day on my way to teach kindergarten in Discovery Bay Elementary School. The City of Brentwood was a lot different back then! We lived in California for 4 years, and then due to my husbands’ job, we relocated multiple times and to many states in the last 15 years. Two years ago, we had the opportunity to move back to California. When researching the area, we were pleasantly surprised to see all the changes and progress that the City of Brentwood made in the time we were gone. When we saw Shadow Lakes, we knew that was the community we wanted to live in and raise our 2 daughters. We loved the feel of the area and the neighborhood. In all of our moves (and we have moved 7 times in 19 years), I have never seen a Senior Housing Community in the middle of a neighborhood, as the Golf Owners are suggesting they build in Deer Ridge. I have never seen a Senior Housing Community in any neighborhood, as they are also suggesting they build in Shadow Lakes. We would have never purchased our home in Shadow Lakes if there was a Senior Housing Community there, and I am sure many people feel this way. Therefore, our neighborhoods would be less desirable and the value of our houses would decrease if the board supports this plan to rezone land in our neighborhoods to build Senior Housing Communities. *Leave 18 fewer expensive greens, fairways and tees (for the golf owners) to maintain. Most of the reasons that the Golf Owners list for rezoning land and consolidating the courses are to help them. They do not specify what the “new community amenities” will be. They do not provide how many “lot line adjustments for residences” will be made and how this will happen. The Golf Owners also list that they will “reduce water consumption;” however, in all of the pictures that are provided in the pricey brochure that the Golf Owners sent out showing what the closed holes could be (i.e. open space, walking trails, vineyards, community gardens, and bike paths), each picture displays lots of “green,” which would use water. Therefore, water consumption may not actually be reduced. And what happens if all of the units are not filled in the Senior Homes built? Will the Golf Owners have enough positive return to allow for construction and guarantee maintenance of the amenities? On that note, once the property in our neighborhoods is rezoned, the Golf Owners have NO obligation to the residents of Shadow Lakes and Deer Ridge to actually create any amenities on the closed holes. They have not proposed any type of binding obligation that would ensure these “amenities” are constructed. Heck, after the land is rezoned, the Golf Owners could walk away from the Golf Course, and there is nothing that can be done about that. Just because the Golf Owners get clearance to carry out a plan, does not mean that they will actually carry out the plan, which has been shown in the past. In 2010, the Planning Commission granted a Design Review Approval for the current Golf Owners to construct a new cart bridge across Balfour Road. The Golf Owners never obtained a building permit, and asked for many extensions (which were granted) before the permit expired in December of 2015. Therefore, just because the Golf Owners are asking permission to consolidate the golf courses, create community amenities, and build a cart bridge across Balfour today, it does not mean that they will ever get the building permits and actually do any of the things that they propose. However, if land in our neighborhoods is rezoned, I am positive that these Golf Owners will sell the land to a developer and reap all of the benefits of the price they will receive for this sale. And we, the residents of Shadow Lakes and Deer Ridge, will be left with two monstrosities in our neighborhoods. The Golf Owners state that they “chose senior homes because there is a need, as well as a strong buyer interest.” Even if there was a need for “senior homes,” I have never seen any built in a neighborhood! Usually “Senior Homes” are built in an area already zoned for that type of building. The only reason that the Golf Owners are looking to rezone the land in Shadow Lakes and Deer Ridge and build these Senior Homes is to benefit them. Once these Senior Homes are built, it will cause a significant increase in traffic in what was originally zoned to be a single family, residential community with a golf course. The addition of these facilities will also impact the appearance of the neighborhood regardless of where they are placed. The potential for Assisted Living or Skilled Nursing facilities will further tax an already under funded Contra Costa Fire department in East County. The ambulance service for the county is also now provided by the Contra Costa Fire department, and it does not have the ability to adequately support East County. Finally, these facilities will have a significantly detrimental impact on property values for both Shadow Lakes and Deer Ridge. The values of property (and tax revenue) are based on single family housing in a golf course (open space) community and not one with mixed land use. The Golf Owners are threatening that the property will be liquidated if they do not get support to rezone the property. It appears that their previous business plan did not work because they purchased the facility at what they considered at the time a value; however, they failed to consider the changing demographics and attitudes towards golf. Nothing in their presentations describe a business plan for rezoning this property for senior living, combining the golf courses, building a multi-million dollar bridge across Balfour, providing a significant increase in amenities, and on-going maintenance of quoted amenities. They are not even watering and maintaining both golf courses today (which they admit in the letter sent out)! In my opinion, it is best if the land is maintained with its current zoning and allow the business owners to sell the property to someone with a viable business plan. They will sell for a loss which will allow the new owners to implement a business plan that is viable for the long term. In my opinion, if the property is rezoned, the Golf Owners will obtain proceeds from either 1) selling the rezoned property (at a higher value to an investor) & still close the golf course, or 2) develop the senior living facility for a profit but still not follow through on the proposed amenities, or 3) some combination that results in lower property values, more congestion, more impact on county services, and an impact to all of the residents in both developments. Once the property is rezoned the Golf Owners have NO obligation to the residents of Deer Ridge and Shadow Lakes or the city of Brentwood. However, once the property is rezoned, there is no turning back. I urge you to consider what is best for our community, and do not allow the rezoning of land in either Shadow Lakes or Deer Ridge. Thank you for your time. My name is (Name withheld by request), resident of Deer Ridge since 2014. I am writing to you so you deliver my opposition to the rezoning of Deer Ridge and Shadows Lake to the Mayor and City Council of the City of Brentwood. (3) (a) and (b) combined will create a spiral effect that once in motion may lead to our community losing their appeal to future buyers looking for a safe community with good schools, etc.. I am a reasonable individual. I was not born with a silver spoon. I came to the US 25 years ago as a young(er) engineer looking for job opportunities. I went from being a visitor to a law obeying US citizen, appreciative of the opportunities that this great country has given to me. I relocated to Deer Ridge as this community has the appeal, the good schools, the right price/value ratio, and the safety that I have been looking for in a long time. I am planning to grow older and raise my kids in here. I totally understand why businesses shrink, get leaner, more flexible to quickly react to changing market conditions. And I want the golf course here to thrive! However, I believe that their current proposal goes beyond rescuing their business. It creates a huge revenue opportunity for them and a loss for us homeowners that paid a premium to live here. Specifically, who’s going to compensate us for the loss of value which will obviously follow if this rezoning plan move forward? Other proposals should be considered, such as for example, creating a community center with a pool and HOA fees (which I would support) in Deer Ridge. Or even low density housing — can you imagine having new single family construction in Deer Ridge and Shadows Lake? Our community is well known for the great schools and buyers would flock here. Under the current proposals two villages would be built in the middle of a low density housing community bringing traffic congestion. Can you imagine the consequences to our property values? Having a three story building here? I am hoping the Mayor and the City Council will not rush in making a decision that will affect negatively our community for a long time.